To join complete the form on the right or download our membership application. The Manhattan Beach Historical Society began as a historical committee for the city of Manhattan Beach in October 1970. On October 20,1977, it was incorporated as a nonprofit historical society. Members receive a quarterly newsletter plus a 10% discount on most purchases from the Society. Your contribution is tax deductible. Please make your check payable to MBHS and mail this form to: Manhattan Beach Historical Society, P.O. Box 3355, Manhattan Beach CA, 90266. Please complete the form on the right or download and mail our membership application. The Manhattan Beach Historical Society is a 501(c)(3) nonprofit organization. Your membership and donations may be tax deductible. 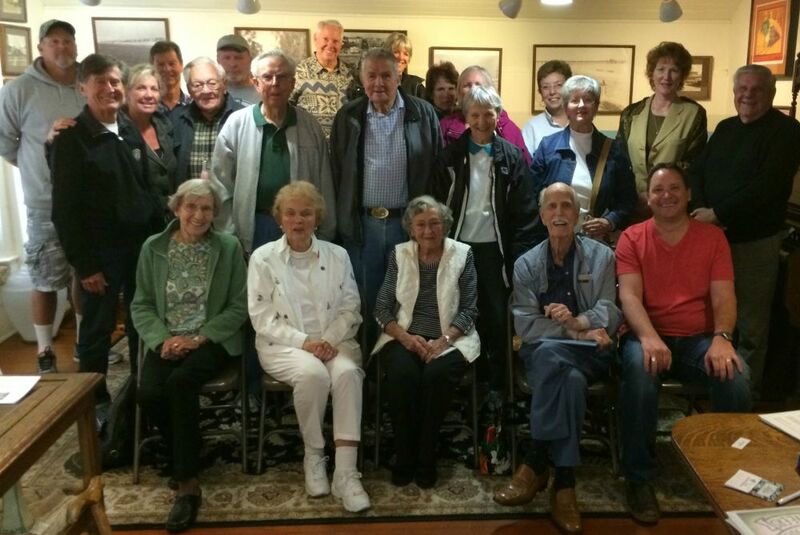 Under the direction of James Gill the Manhattan Beach Pioneers have formed to acknowledge special members under the umbrella of the Manhattan Beach Historical Society. Three new categories of membership have been adopted. “Pioneer” is a 50+ year resident of Manhattan Beach, past or present. Must show addresses and years of residency. “Associate Pioneer” a 30-50 year resident of Manhattan Beach, past or present. Must show addresses and years of residency. “Sons and Daughters of Pioneer” a direct descendant of a Pioneer. Must show addresses and years of Pioneer’s residency. The purpose is to share and preserve our city’s history, foster fellowship, and create more awareness of the Historical Society. Separate quarterly meetings for Pioneers are held to congregate and share stories. A small discount to the General Membership annual dues serves as a special offering to new Pioneer members of the Society. A second page to the application is required for Pioneer proof of residency. Download a Current Membership Application and become a pioneer. A special certificate for the categories is being planned.